Here is a step-by-step guide to our recruitment process explaining what service you can expect when you work with us to recruit a new permanent, temporary or contract employee. Get in touch: Contact us on through our website or at contact@alfredrecruitment.com or call us at 0117 3126111. Fully understanding the fit: At Alfred, we believe that modern recruitment is all about relationships and engagement. It’s not all about us understanding the technical requirements contained within your job specification! We take the time to understand your business, and the type of individuals that would thrive in your environment. We call this “fully understanding the fit”. Needs assessment: If you or your HR team are in any way unsure of any aspect of the role then we can assist e.g. if you don’t have a job description, we can help with the preparation at this stage. Market update: Some of our clients are unaware of current movements in the sector particularly for niche or unusual roles. We provide an honest appraisal about current market trends, the availability of candidates and how attractive your role and remuneration package are. A bespoke solution: We start with a fresh viewpoint and advise you on your best course of action. Dependent upon how you wish to engage with us we will structure a bespoke service to suit your requirements to give you a quality service that produces the candidates you need. 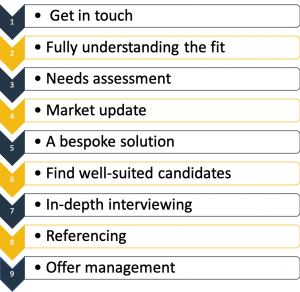 Find well-suited candidates: Whether it’s candidate attraction on social media, employer branding in a trade publication or a combination of the two – get in touch to define the best approach for your recruitment process. In-depth interviewing: All candidates are carefully matched to your requirements. This is achieved by an in-depth conversation with one of our experienced consultants. 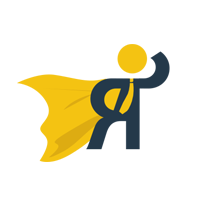 Referencing: Full referencing in accordance with the Recruitment Employment Confederation’s regulations to guarantee credibility for temporary and contract staff. Offer Management: To make sure that you secure your new hire in your ideal timescales, at the right salary level. Like what you have read? Well let’s get started! Get in touch now!